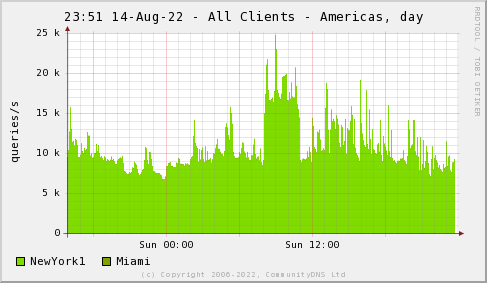 This graph shows the total query activity for all three of our Anycast networks. Activity is shown as queries per second and the graphs are updated every hour. 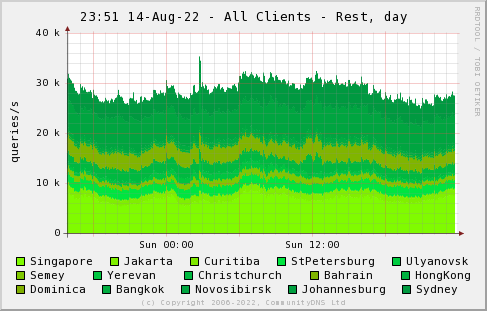 The other graphs show the total query activity at some of our different geographic locations.